Shoulder pain is widely seen in people who play sports, work for long hours either standing or sitting and work which includes rigorous physical activity. It also appears if you spend long hours in the gym lifting heavy weights. Injury may also be one of the main causes of shoulder pain. People performing these activities are often diagnosed with shoulder pain. The condition could be acute or chronic. In case of chronic shoulder pain, it is highly recommended to consult a doctor as soon as possible. Your neck and shoulders contain muscles, bones, nerves, arteries, and veins, as well as many ligaments and other supporting structures. Many conditions can cause pain in the neck and shoulder area. Some are life-threatening (such as heart attack and major trauma), and others are not so dangerous (such as simple strains or contusions).The most common cause of shoulder pain and neck pain is injury to the soft tissues including the muscles, tendons, and ligaments within these structures. This can occur from whiplash or other injury to these areas. Degenerative arthritis of the spine in the neck (cervical spine) can pinch nerves that can cause both neck pain and shoulder pain. Degenerative disc disease in the neck (cervical spondylosis) can cause local neck pain. Abnormal conditions involving the spinal cord, heart, lungs, and some abdominal organs also can cause neck and shoulder pain. Arthritis: :- Shoulder pain could also be due to arthritis. Arthritis is a condition that causes inflammation of the joints. Sometimes people with arthritis shun shoulder movements with the hope of avoiding pain. This causes the soft tissue that forms the joint muscles to tighten or stiffen, as a result of which movement is restricted. Shoulder and neck pain that one might suddenly feel when sleeping on one or both sides may be due to sleeping in the wrong position or due to stress, and can be avoided by doing a few simple exercises. One excellent way in which you can take care of your shoulder and neck pain is by making your neck go through full movements a couple of times daily. This will prevent your neck from stiffening and will help stretch the muscles. However, it is important to know that exercises can sometimes worsen the pain, and it is best that you consult your doctor or physiotherapist before starting any exercise. Treatment for shoulder pain depends on the basic cause. If the problem is minor, relief can be got by resting adequately and following a proper diet. Applying an ice pack on the shoulder and taking painkillers can give you temporary relief. In case the problem is severe, it is best that you contact your health care provider. 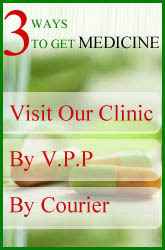 Symptoms for Shoulder Pain:- houlder pain may be experienced as sharp, stabbing, cramping or dull. The pain may also hinder movement and can lead to stiffness. In some cases pain arising from the shoulder may extend to the neck. When the pain is severe, weakness is experienced in the affected area. The weakness tends to occur mainly when movement of the affected area causes pain and discomfort. In some cases, the nerves of the area may suffer damage and this could also lead to weakness. In case there is redness, then inflammation or infection may be present. Injuries to the shoulder may also lead to swelling which may also spread to the entire arm. Fractures or inflammation of the bursa may lead to such a symptom. Swelling may also occur if there has been dislocation of the shoulder. Exercising, shoulder movement, swimming, moving shoulder clock or anti clock wise are helpful in pain. People with sedentary occupation should changes the position often, stand up every hour & try to avoid soft cushioned seats. Intake of adequate amount of calcium, vit c & d	.
Take warm water bath and try to pour some warm water on back side of the neck. Mild hot oil massage to neck, shoulder and hands are beneficial. Rubbing of garlic oil on affected area gives great relief. Intake of a tea spoon of sesame oil, soaked in ¼ cupof water and keep over night.has been found to be effeicient in shoulder pain	. Avoid cold water treatments and cold bath and cold sprays too	. NOTE: AVOID AIR CONTACT AFTER ANY OF THE MASSAGE THERAPY, PLZ COVERED THE AFFECTED AREA .